In ancient Greece, this was known as Andros' Day. Andros in Greek means "Man" and also is the Greek for Andrew. Today is St. Andrew's day in the Christan world. St. Andrew was worshiped today as a version of the deity Andros, a god of manhood and virility and an aspect of Dionysus. St. Andrew, a fisherman and brother of St. Peter, was the earliest Apostle. He is the patron of fishers and fishmongers, of Russia and Scotland. According to tradition, Andrew was crucified at Patmos, in Achaia, on an X-shaped cross, the form of which became known as St Andrew's Cross, which is still on the Scottish and British flags. The cross saltire, is also a sun symbol, which looks similar to a Catherine wheel or the rune of Gefjon, the Giver, which is associated with Freya, the great Scandinavian goddess who is much honored at wintertide. People used to sign with an X if they couldn't sign their name. Then they would kiss the X and promise by St Andrew (whose cross the X resembles) to abide by their oath or contract. Over the years, ‘X’ on a letter came to mean a kiss. While on the cross for two days he continued preaching. 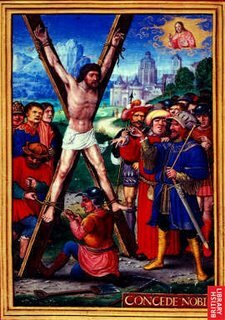 Part of his cross was carried to Brussels, by Philip the Good, duke of Burgundy, and Brabant, in honour of it, instituted the knights of the golden fleece, who wear a St Andrew's cross (or Cross of Burgundy) as a badge. An abbot called Regulus brought to Scotland from Constantinople in 369, certain relics of St Andrew, and deposited them in a church he built in his honour, with a monastery called Abernethy, where the city of St Andrew now stands. Supposedly wherever lilies-of-the-valley grow wild there is a church dedicated to St. Andrew. St. Andrew's Day is now chiefly celebrated as patriotic festival for Scots, featuring a glorious feast and much drinking. Traditional dishes include boiled or baked sheep's head, haggis and whiskey. The wealthier citizens partook of singed sheep's heads, boiled or baked. The custom arose from the practice of slaughtering sheep fed on the neighbouring hill for the market, removing the carcasses to town, (Edinburgh, one mile away) and leaving the heads to be consumed locally. In the St. Andrew's Day procession, the Scots traditionally carried before them a sheep's head on a pole. At Easling, Kent, England, labourers and working people traditionally assembled and hunted squirrels, hares, pheasants, partridges, and anything that came their way as they rambled through the fields with guns, poles and clubs. In the evening, there was drinking in alehouses. It is unclear why squirrels were hunted on this day but it is reminiscent of the custom of Hunting the Wren (also done in a noisy mob) on December 26. St Andrew was, like St Catherine, a patron of lace-makers, and on his holiday (sometimes known as "Tander") they celebrated by feasting, drinking elderberry wine and sports. A special cake called the Tandra Cake is still served in Bedfordshire. It has a bread dough base to which lard, sugar, currants, lemon peel and eggs are added. St. Andrew's Day is also an important festival in Lapland and a popular day for weddings. In Ireland, the whole month of November was dedicated to the dead and they held their final dances before returning to their dwelling on the last day. A legend tells of the young woman who was foolish enough to go out walking on that night and sat down to rest on the side of a hill. A pale young man approached and invited her to a dance on the hillside. She realized after a while that he was a young fisherman who had drowned during the summer and all the other dancers were people who had died. She tried to leave but was surrounded by the dancers who whirled her around until she fell to the ground in exhaustion. Although she made it home to her own bed, she was suffering from "the fairy stroke" and despite the ministrations of the herb-doctor, she passed away the next night while the moon was rising and a faint music was heard from outside. Birthday of Oberon Zell, founder of the Church of All Worlds. OBERON ZELL-RAVENHEART, (1942- ) is a Founder of the Church of All Worlds and a leading figure in the Neo-Pagan community. A modern Renaissance man, Oberon is a transpersonal psychologist, metaphysician, naturalist, thealogian, shaman, author, artist, sculptor, lecturer, teacher, and ordained Priest of the Earth-Mother, Gaia. He sums all this up in the designation of "Wizard." Oberon is also an initiate in the Egyptian Church of the Eternal Source, a Priest in the Fellowship of Isis, and an initiate in several different Traditions of Witchcraft. He holds academic degrees in sociology, anthropology, clinical psychology, and theology.